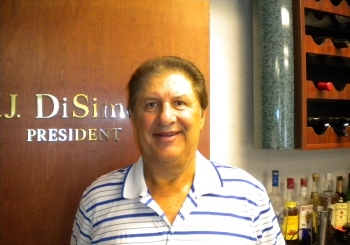 Tony DiSimone is the President of Sentry Aerospace, which he started in 1975 out of a small office in New York. Prior to starting Sentry, Tony worked 11 years for both Smith, Kirkpatrick & Co. and Aviquipo Inc., learning the industry from the warehouse to the sales department. Through his 50+ years in the business, Tony has made countless contacts, worked with airlines all over the world, and supported aircraft models that have come and gone. For those that attend conferences, you are sure to have seen Tony walking the aisles, making deals, and having a good time at his booth or yours. Today, Sentry has grown into a leading aviation supplier with a complete global reach and customer base, all thanks to Tony’s vision, experience, and a risk he took over 40 years ago.